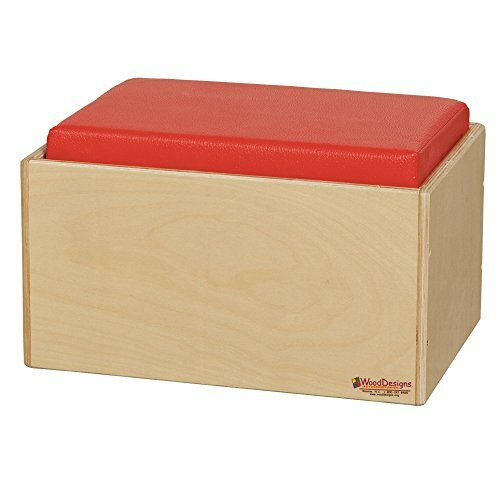 The Wood Designs WD31700 child's bench has a red reversible cushion for comfort and measures 9 x 16 x 13 inches (H x W x D). (H is height, the vertical distance from lowest to highest point; W is width, the horizontal distance from left to right; D is depth, the horizontal distance from front to back.) This preassembled bench is Underwriters Laboratories (UL) Greenguard Gold certified for environmental safety and is suitable for use in an educational environment.